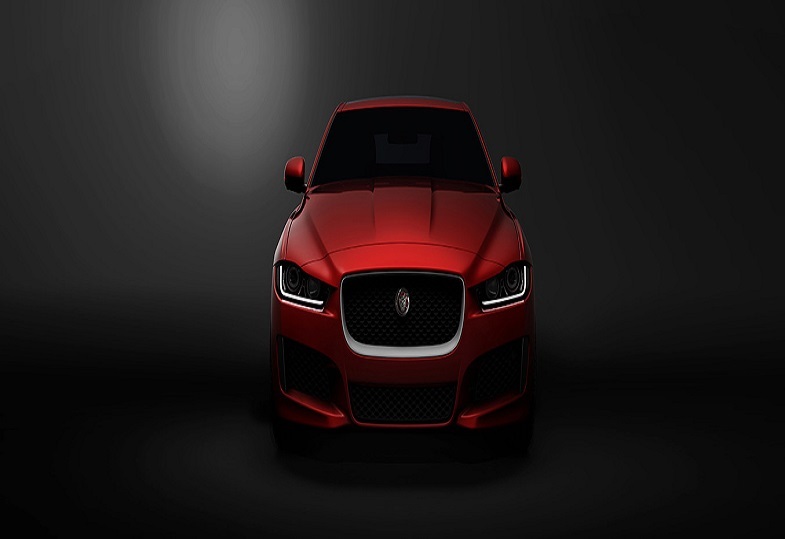 Jaguar will unveil the latest addition to its sports sedan car family, the Jaguar XE, at a star-studded event in London on September 8th. The event will mark the unveiling of a true driver’s car; one that redefines the concept of the sports sedan. Jaguar XE will bring levels of innovation with its lightweight construction expertise and sophisticated chassis technology in addition to the new family of Ingenium engines – all designed, engineered and manufactured in the UK. Built around an all-new, aluminum-intensive architecture, the Jaguar XE combines thrilling performance, agile handling and precise, responsive steering, with outstanding levels of refinement. delivers major benefits over conventional multi-link designs. By providing lateral and longitudinal stiffness, the Integral Link delivers sharp response and handling while retaining a refined, luxurious ride. Many components of the Integral Link suspension are made from forged or hollow-cast aluminum. Mounted to a subframe with cast aluminum suspension towers, the double wishbone of the front suspension on the XE delivers exceptional handling and road holding. The advanced design is based on the F-TYPE sports car. 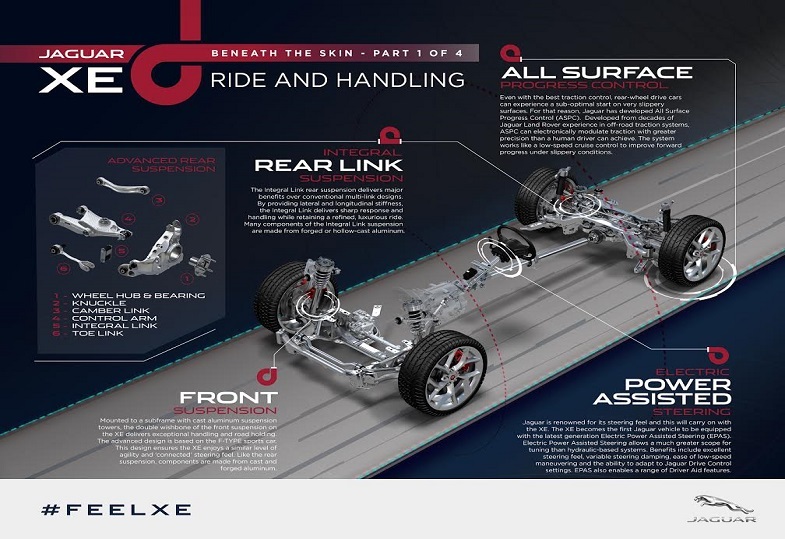 This design ensures the XE enjoys a similar level of agility and ‘connected’ steering feel. Like the rear suspension, components are made from cast and forged aluminum. Jaguar is renowned for its steering feel and this will carry on with the XE. The XE becomes the first Jaguar vehicle to be equipped with the latest generation Electric Power Assisted Steering (EPAS). Electric Power Assisted Steering allows a much greater scope for tuning than hydraulic-based systems. Benefits include excellent steering feel, variable steering damping, ease of low-speed maneuvering and the ability to adapt to Jaguar Drive Control settings. EPAS also enables a range of Driver Aid features. Even with the best traction control, rear-wheel drive cars can experience a sub-optimal start on very slippery surfaces. For that reason, Jaguar has developed All Surface Progress Control (ASPC). Developed from decades of Jaguar Land Rover experience in off-road traction systems, ASPC can electronically modulate traction with greater precision than a human driver can achieve. The system works like a low-speed cruise control to improve forward progress under slippery conditions.